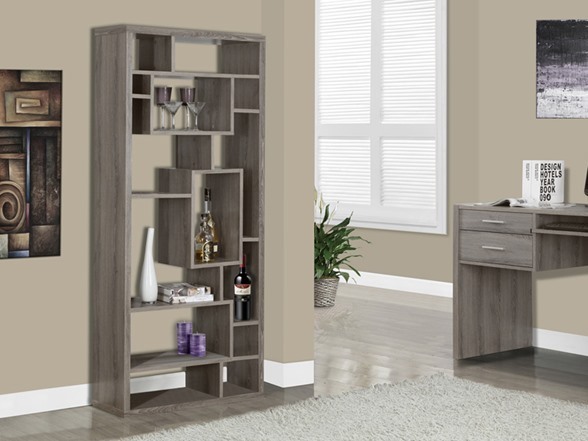 Give your home a bold, modern look with this unique 72" dark taupe reclaimed-look bookcase. 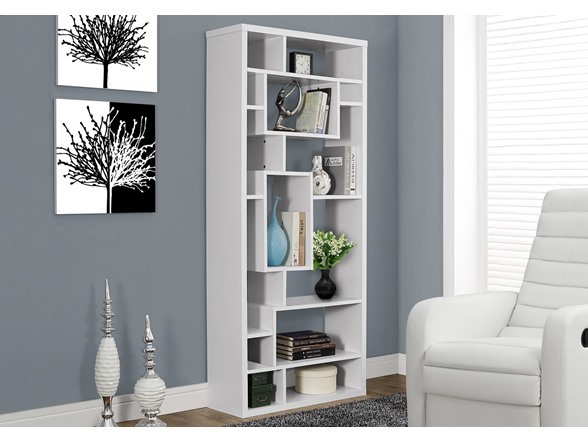 This chic, backless unit features 14 asymmetrical shelves in various sizes, perfect for displaying your favorite books, frames or other decorative items. 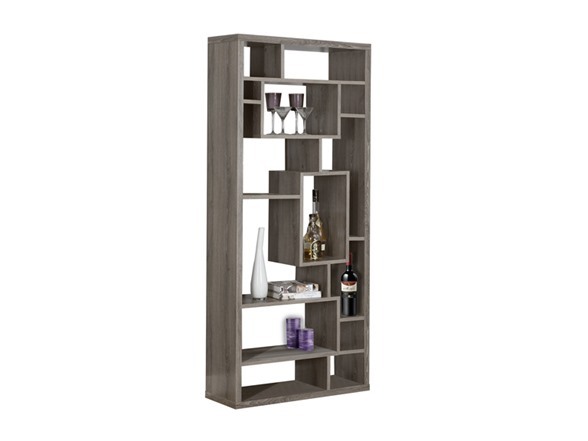 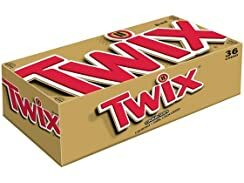 Place this unit against any wall in your home or in the center of the room as a room divider.